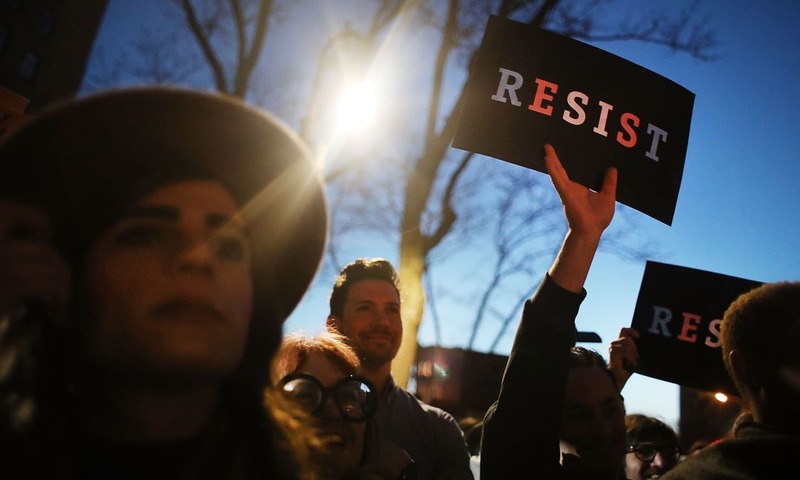 Resistance School @ Berkeley empowers organizers and activists from underrepresented communities to better influence policies that impact them, by offering free online training videos and an online collaborative platform that enhance their social and political change work. Ultimately, through a stronger collective civic engagement, these connected communities will be able to exercise and sustain real democratic power to achieve a more equitable society. We are a network of students and organizers, so we rely on donations in order to provide tools to those doing the hard work on the ground every day. Your support of us allows us to empower them. 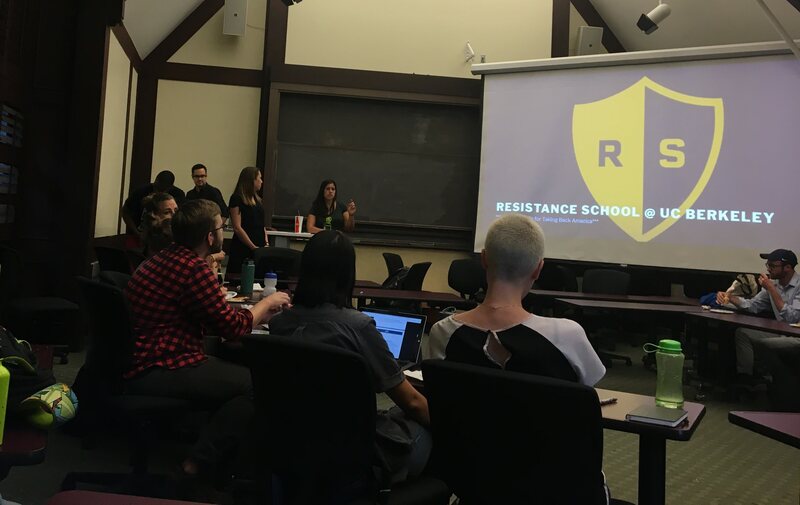 In its pilot semester this past Fall, Resistance School @ Berkeley has seen much success: its four published training videos, led by UC Berkeley professors and professional practitioners around the theme of effective communication, have garnered over 90,000 views. Facebook posts have totaled 17,252 likes, and the website has had 7,782 visits from 3,668 unique users from 47 countries across six continents. Its resources have been featured in more than ten articles, including HuffPost, France’s Le Monde, the Daily Cal, and on the front page of UC Berkeley’s website. Organizers from as far away from Germany and Austria have reached out to say that the Resistance School @ Berkeley model and content is informing their own social change work. Team members have also initiated partnerships with Bay Area organizing groups, including Wall-of-Us and Debug Politics. In Spring 2018, Resistance School @ Berkeley is working to produce three new training sessions and enhance its current digital viewing platform, with the goal of better supporting the work of organizers and activists. For information about the project, visit www.resistanceschoolberkeley.org! 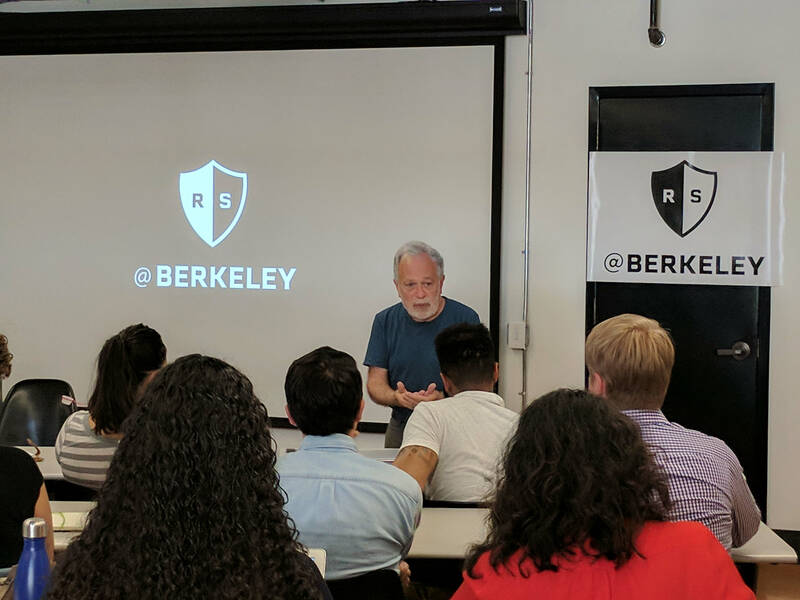 Session 2: Cross-Cutting Messaging in a Tough Political Environment with former U.S. Secretary of Labor and current UC Berkeley professor, Robert Reich. We need your help to produce high-quality content that will be useful and accessible to our audience. ALL $3,500 of the raised funds will go towards producing this second semester of training sessions and maintaining our digital presence. With additional support, we can begin the next round of planning for sessions and expand the engagement platforms of Resistance School @ Berkeley to host a conference, create bonus content, expand our web presence, and more! Recent events have made the work of long-time organizers and activists even more vital, and people who have never organized before suddenly feel a need to take action. In spring 2017, students at the Harvard Kennedy School of Government founded Resistance School to meet this growing demand for organizing training and skills. Over 10,000 people watched the first semester, and their efforts garnered national attention from places like the New York Times and CNN. In recognition of the continued need to empower progressive organizers, we founded Resistance School @ Berkeley, the first partner institution of Resistance School. As students at a leading public University, we believe that connecting the skills we’re learning with the people who are fighting to enact sustained social change is one of the most important applications of our education. Resistance School @ Berkeley seeks to empower people and organizations working to advance just and equitable policies in our country. Throughout the semester, we will be soliciting feedback from our stakeholders and audience members via surveys and interviews and will use digital metrics in planning efforts for future semesters. Pitching Resistance School @ Berkeley to other students: building the team! Our location in the middle of the Bay Area’s vibrant organizing community and connection to the nationwide Resistance School network gives us a unique opportunity to bridge local, state, and national efforts, and to allow groups to fill gaps and connect with each other. Organizing is inherently a collaborative process, and we recognize that groups working tirelessly to support and defend their communities don't always have the time or space for this collaboration. In addition to providing online tools, Resistance School @ Berkeley also seeks to serve as a hub for action and messaging coordination. If you have any questions or concerns please contact us at donate@resistanceschoolberkeley.org! A mention and tag in a message of appreciation from our Twitter and Facebook platforms. A personalized thank you card from our leadership team, as well as the other perk above. We will feature you in the “Special Thanks” portion of the credits in our next training session, as well as the other perks above. If you are local to the Bay, we will give you front row access to one of our Spring training sessions to have direct access to the speaker. Otherwise, we will hold a skype session with the Resistance School @ Berkeley team with you for an inside conversation. As well as, the other perks above. We will feature you on our page of supporters on our website for the rest of the semester, as well as the other perks above.